UK education is recognised and respected all over the world, and learning English in the UK means being surrounded by academic history in creative and challenging environments. The UK’s long history and status as being the home of English itself makes it one of the most popular global destinations for an international student. Whether you wish to live in an exciting city such as London, Manchester or Birmingham, or the relative calm of Oxford and Cambridge, students will grow as they take in historical landmarks and meet new people in this diverse and multicultural country. Explore the UK's most popular study destinations below and apply with SI-English today. We will guarantee you an offer from an English school in the UK within 24 hours! Why study English at a UK language school? The UK not only offers more English language schools and courses than anywhere else in the world; it also has a global reputation for academic excellence. Its history and culture mean you will be surrounded by like-minded international students looking to get ahead in the world. Can I work as a student while studying in the UK? During term time you can work for a maximum of 20 hours per week if you are on a study abroad programme at an "overseas higher education institution". If you are studying a course that is below degree level at a "higher education institution", you can work 10 hours per week. SI-English will help you apply to study in the UK by filling in, submitting and tracking your application from start to finish. We will then guarantee you an offer letter from a UK language school. Where can I study English in the UK? Learn more about some of the cities and English language schools in the UK below. Join over 100,000 other international students in one of the most exciting cities on the planet. Whether you are interested in theatre, music, food or famous sights, there is a world of things to do and people to meet in the world’s number one student city. Enjoy landmarks such as Big Ben, Piccadilly Circus and the River Thames, while also benefitting from great travel access to the rest of the UK and Europe. 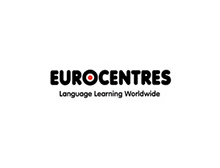 EF London Language courses are set in an historic Victorian building steps from the London Eye and Waterloo Station. EC London is a bright, beautiful and modern school in the heart of London, with unbeatable access to all areas of the city. 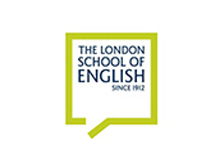 London School of English is the world’s longest-established accredited English language school, with 100 years of experience. Often referred to as ‘London-by-the-sea’, Brighton is a university and college city, meaning lots of fellow students your age. Based on the south coast of the UK, its proximity to London and a large multicultural community make it a great place to call home. Brighton boasts unique shopping areas and an exciting arts and culture scene. 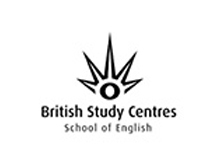 British Study Centres Brighton is located in the centre of the city, occupying a beautiful four-floor Victorian building. 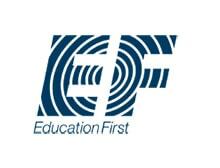 Education First International Language Centres provide international students with first class English language courses in Brighton. Looking to study elsewhere in the UK? Whether you choose to study in Manchester, Birmingham or Oxford, you are guaranteed to find some of the very best language schools in the world. Cambridge is one of England’s most beautiful cities, full of striking architecture, museums and galleries, whilst Oxford is within commuting distance of London and many other beautiful parts of the English countryside. Eastbourne was recently named the UK’s sunniest city by a UK weather agency, and Manchester is one of the most cultural cities in the north of England, home to a wide variety of galleries, museums and annual festivals. British Study Centres Oxford is located in the centre of the city and features state of the art facilities and 17 spacious classrooms. EF Cambridge is set in beautiful historic building in tree-lined residential area, a short walk to popular student pubs and shops. 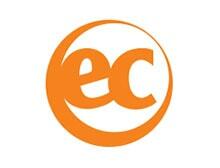 EC Manchester is a boutique space in the heart of this revolutionary, entrepreneurial and innovative city. Join us in Manchester!